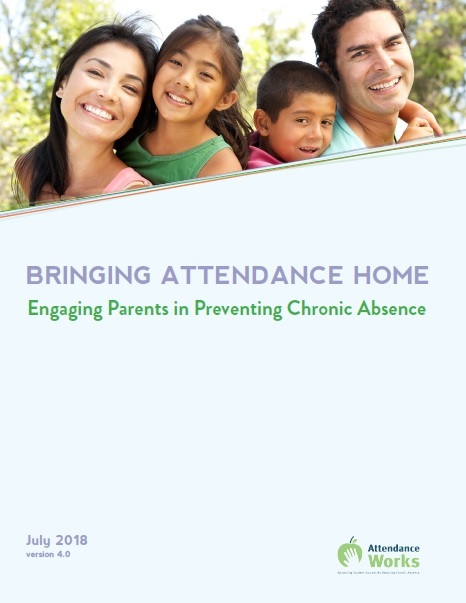 Research showing a positive relationship between parent involvement and attendance as well as the results of new studies examining parents’ attitudes about school absences and their implications for messaging and action. Key Principles for engaging parents on attendance. Interactive Exercises to spark awareness, conversation and action with groups of parents about the consequences of poor attendance on their children’s futures. Demand action to address systemic barriers that may be causing large numbers of students to miss too much school. Take advantage of this free resource for engaging parents in your community.